DCI-PS was founded in 1991, and is currently one of the largest and most prominent national sections within the DCI movement. Although initially established to provide legal defence for children arrested by Israeli forces after the first Intifada, DCI-PS has gradually expanded the scope of its work, adding to its activities socio-legal support; capacity-building on children’s rights for governmental and non-governmental actors; lobbying for a Palestinian legislative framework in line with international child rights standards; monitoring and documentation of child rights violations; and strong advocacy-based work with quality evidence. 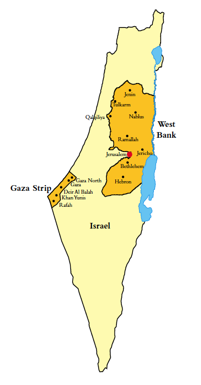 DCI – Palestine is based in Ramallah and have two centres in Hebron and Nablus and two work stations in Jerusalem and Gaza. It can counts on a team of 36 employees and of 7 volunteers. 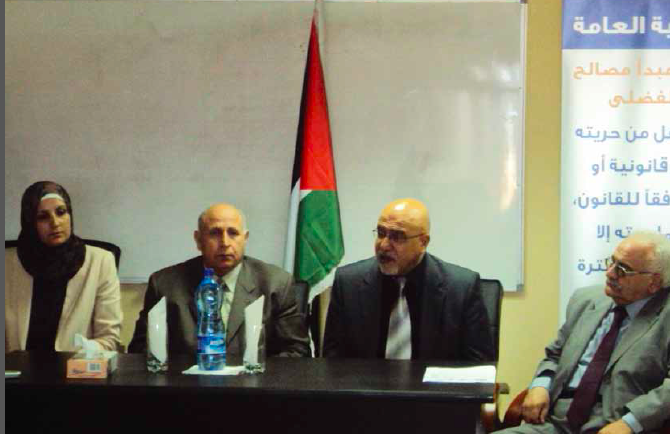 DCI-Palestine is governed by its General Assembly and by a Board of Trustees which is composed by 9 people. 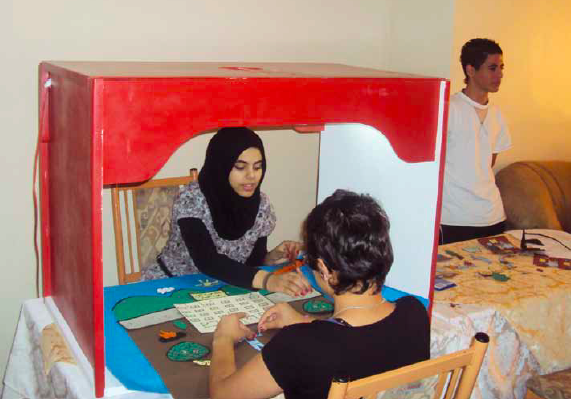 Defence for Children Palestine operates in Palestine inWest Bank, Gaza, East Jerusalem. Legal representation of child detainees in the Israeli military courts and children in conflict with the law. CBOs, CSOs, and NGOs at local, national and regional levels. This programme carries out evidence-based advocacy on Palestinian child rights violations occurring as a result of the Israeli military occupation and annexation of the Palestinian territory and the related armed conflict. By collecting quality evidence on specific child rights violations, raising awareness of violations and advocating for all parties to the conflict to comply with international human rights/child rights standards, DCI-Palestine strive to put an end to these violations and improve accountability for the perpetrators (Israeli authorities, Israeli settlers, the PA, and Palestinian military factions). It focus on four types of child rights violations, and target mostly secondary duty-bearers at the international level, asking them to pressure parties into changing those policies and practices that are harmful to Palestinian children and accountability. This programme plays a key role in implementing DCI-PS’s - strategy by transforming monitoring, capacity-building and advocacy initiatives into reality at the national level. The programme, conducted through the Child Justice Unit, monitors the policies, laws, strategies and directives of child rights enforcers, and is a partner in many of the national technical committees responsible for drafting modern laws, such as the Juvenile Justice Draft Law. The programme is also a member of many child protection networks and coalitions that are legal specialists. Furthermore, the programme builds the capacity of relevant partners such as police officers, probation officers, prosecutors, lawyers, and members of the Child Protection Network (CPN) to form a vision in line with the Convention on the Rights of the Child (CRC). The CRC is one of the global references on which we rely in determining our identity, both as an institution and as a programme. The programme focuses on improving the protection of these target groups through our three main pillars: capacity-building of relevant actors, evidence-based lobbying and advocacy for better protection policies and practices, and selected protection services (legal representation and consultation, and legal and psycho-social support in the northern, southern and middle areas). With the goal of having a fair and integrated system for children in conflict with the law and child victims of violence, the child justice unit follows up on the legislation and policies of ministries and institutions working in child protection by participating in meetings that discuss laws related to children, such as the Juvenile Draft Law. 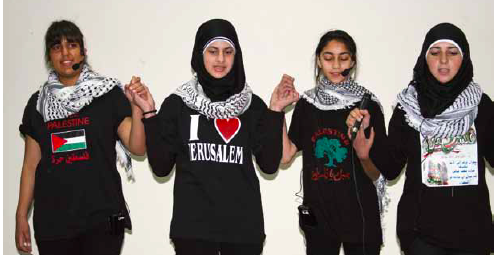 Read DCI-Palestine's 2012 Annual Report. DCI-PS is a leading organisation in establishing the Middle East and North Africa Child Rights Network (MANARA). DCI currently heads the steering committee. DCI/PS has the mandate from its board of directors and the international DCI movement to start a regional DCI movement within the Arab World. DCI-PS works closely with the UN CRC. DCI-PS has working relations with many international, regional and national organizations and networks. On a strategic and/or ad hoc basis, DCI-PS works with Crisis Action and the Euro-Mediterranean Human Rights Network (EMHRN), OMCT, Penal Reform International and many others. On the national level, DCI-PS engages extensively with non-civil and state actors in addressing child rights issues, including cooperation with the different PA ministries to tackle the numerous issues affecting children in the occupied Palestinian territories (oPt). For instance, it works with the Ministry of Detainees and Ex-Detainees to address the issue of child prisoners, and with the Ministry of Social Affairs and Ministry of Education to deal with child protection. In 2010 a decision was made by the cabinet of the High Judicial Council to establish a National Committee for Juvenile Justice and DCI-PS was chosen as the only NGO to join this committee. The DCI-PS Child Justice Unit was involved in 14 meetings and workshops of the Committee, in addition to writing comments on the Juvenile Justice Draft Law, which was submitted to the Ministry of Social Affairs. DCI-PS also cooperates and works with many other relevant ministries such as the Ministry of Labour, Ministry of Education, Ministry of Interior and Justice, Ministry of Planning, and the High Judicial Council, in addition to the Palestinian Legislative Council and the Palestinian police forces to enhance their application of the CRC and juvenile justice standards. DCI-PS also has working relationships with several Israeli human rights organizations such as the Association for Civil Rights in Israel (ACRI), the Public Committee against Torture in Israel (PCATI), and Physicians for Human Rights.